A neck injury resulting from a car accident is potentially serious. It can require costly surgery and long-term rehabilitation. Neck injuries are a common injury associated with car accidents. They can range in severity from soft tissue injuries to more serious nerve and spine damage. Whiplash is one of the most common types of neck trauma. Thousands of individuals suffer from whiplash injuries every year. Many individuals believe their pain will go away and fail to seek proper medical attention immediately. This can lead to a lifetime of pain and other chronic conditions. If you have been in a car accident, it is critical that you obtain medical attention to ensure your whiplash injury is properly treated. At The Hoffmann Law Firm, L.L.C., we have been assisting whiplash victims for more than 15 years and can help you obtain the compensation you need to pay your medical bills and other losses you have incurred. After an accident you may experience neck pain (cervicalgia), headaches, and pain in your shoulders, arms or hands. Numbness and weakness may also occur. Some of these injuries may be minor but may require therapy and other types of pain management. 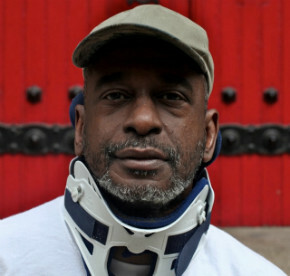 Even with minor neck injuries, the medical costs can still be expensive. If you have been involved in an accident and have sustained whiplash injuries, contact The Hoffmann Law Firm, L.L.C. for assistance at (314) 361-4242. We offer free consultations in all personal injury cases and you never pay attorney fees unless we recover compensation for you.